What IS a “Green” Home? 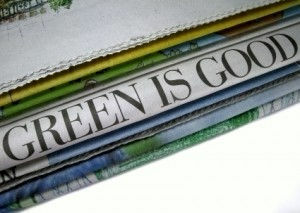 Okay, so we almost all agree that “Green” is Good”. But, exactly what is the definition of “Green” when it comes to housing? How do you know if your Lake Norman home is “Green”? Can you make a home “Green” after it had been built? While there is no official rating or definition of the term “Green”, the U.S. Environmental Protection Agency (The EPA) has created “Energy Star“, the government-backed symbol for energy efficiency. An entire home can have an Energy Star qualification. In addition, there are over 40 types of products that earn the Energy Star for being energy efficient or offer features, quality and personal comfort related to energy efficiency. As of February 14, 2008, the National Association of Home Builders published their first “Model Green Home Building Guidelines” which gives builders and consumers an additional resource/rating system as well. But, how do you verify if a Lake Norman home is truly deserving of the Energy Star/Green Home certification or how do you find out how to improve your existing home’s energy efficiency? As part of the national EPA program, our state of North Carolina has an accredited Home Energy Rating System (HERS) and provides a list of qualified third-party “raters” or “certified green professionals” who can inspect your Lake Norman home. These inspections can determine whether your home is an Energy Star and/or provide you with a detailed analysis of your home with specific recommendations about how to attain the optimum energy efficiency and help you set realistic and attainable efficiency goals. Southern Energy Management is one company that offers inspections and ratings here in the Lake Norman area. For a complete list of raters in North Carolina go to: North Carolina Energy Star Raters. This entry was posted in Green Real Estate and tagged Lake Norman Green Homes. Bookmark the permalink.